Add some color to your closet! 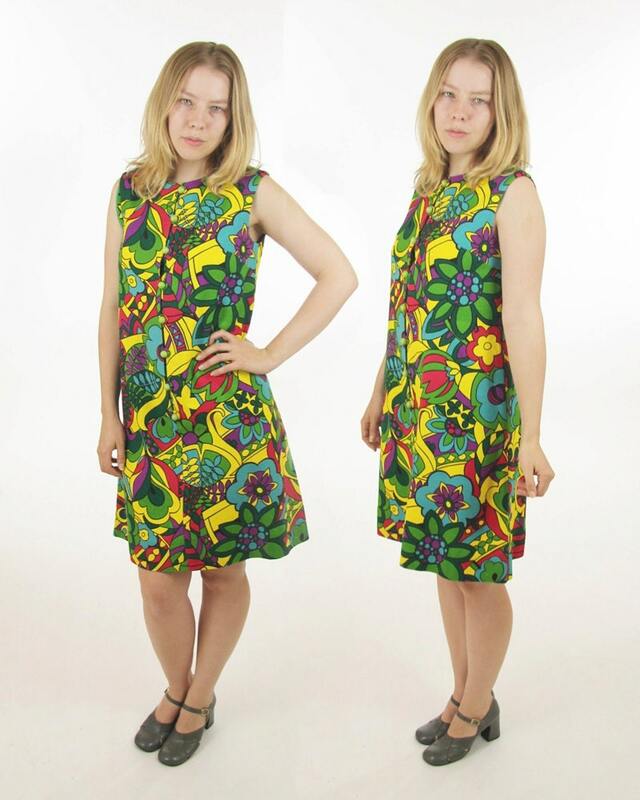 A very radical vintage mod dress. Free fitting and made from soft comfortable fabric. Totally awesome tag on the inside reads "specially hand made and designed by your daughter."